Posted August 28th, 2008 at 5:03 am | Log in to reply. Hi, I just saw your website and it is amazing! I live in korea now and will be leaving soon :( Im definately going to cook my own meals when I leave here, thanks to your web site! Do you happen to know the recipe for Budae Jigae “Army based stew”? that’s my favorite! Posted August 20th, 2008 at 11:37 am | Log in to reply. 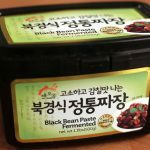 Show the picture of this blackbean paste to your korean grocery owner and tell him or her that you are going to make “ja jang myeon”. They will figure out what you will need. Posted August 20th, 2008 at 11:17 am | Log in to reply. Hello, I have several korean markets where I live, the only thing I found was black bean garlic sauce and black bean chili sauce, is that the same thing only a variation maybe? The owner didn’t know what black bean paste was but showed me the sauce. Posted August 11th, 2008 at 9:32 am | Log in to reply. Unfortunately I don’t know how to make this black bean paste. Please do more research on the internet to find korean gorcery near you. I wish I could give you information about a reliable on line shopping store. Posted August 11th, 2008 at 9:05 am | Log in to reply. I really want to try the korean dish Jja jjang myeon which I always see in korean dramas. =)Thanks for the tutorial. I live in Europe, in Norway. I can’t find any black bean paste in any asian markets here where I live. The only thing they have is “Black bean in garlic sauce”. I don’t think Norway has any korean stores too. I was wondering if you know how to make black bean paste by yourself and teach it to us. Also, I’ve been searching for korean cookbooks in bookstores here, but i can’t seem to find any recipes for black bean paste. Posted June 5th, 2009 at 12:33 am | Log in to reply. Here is how to make Jjajang. The website describes how to make soy sauce. This is Chinese version. The soy residue that remains after taking out soy sauce at the top at the end is Jjajang. The colorr may not be as dark as commercial ones as they put natural / artifical coloring to make it look darker. Or if you let it age really long, it gets really dark as well. Just for the note, when making soy sauce / paste, Chinese add wheat flour to soy block, Korean do not add anything, Japanese add rice flour (white miso). 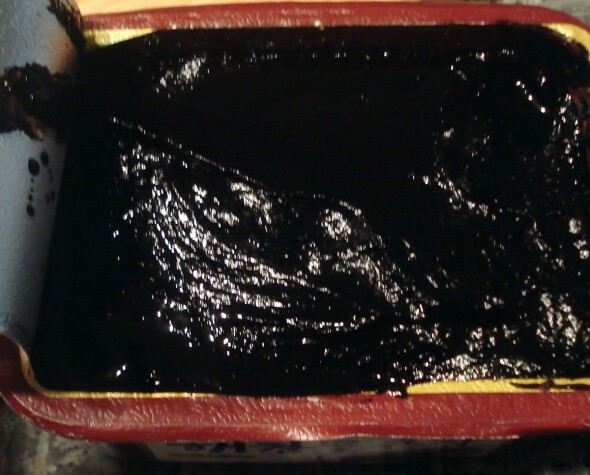 Every soy paste is soy residue that remains after making soy sauce. Black bean paste are not made with black bean. They are made with soy bean, but use wheat flour and stirred daily so that color is black. If wheat flour is not added and not stirred, the color become brown. Posted June 5th, 2009 at 12:43 am | Log in to reply. One more thing. You need nice sun ray to make the soy paste black. I am not sure if you can do that in Norway. The link I gave you, some people discuss about using artificial UV rays.. you can certainly experiment but I am not sure. Posted June 5th, 2009 at 9:47 am | Log in to reply. Thank you very much for the link! 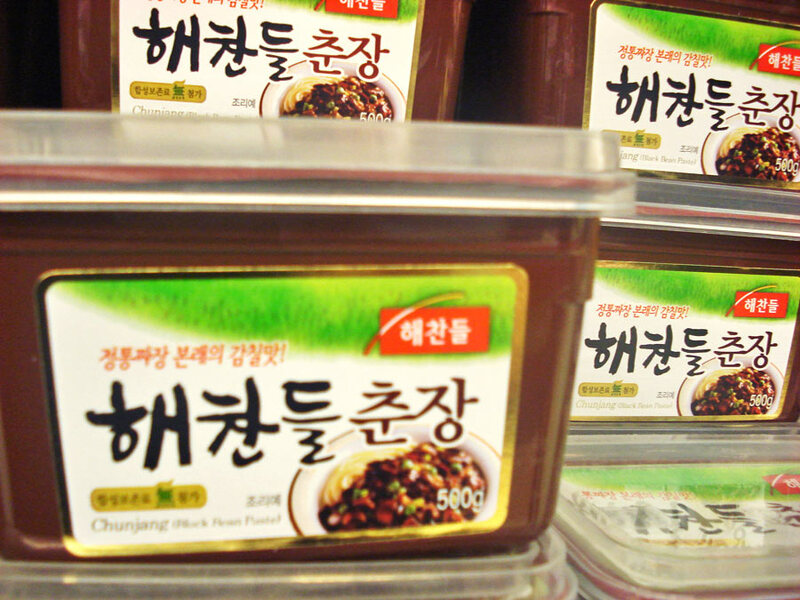 The way of making soy bean paste is pretty much similar to the way of Korean doenjang. Posted June 19th, 2008 at 4:30 am | Log in to reply. I think it’ll be ok. To make sure, I suggest you ask the owner of the store if the sauce is for jja jang myeon or not. Posted June 18th, 2008 at 11:53 pm | Log in to reply. i found your website a couple of weeks ago through youtube, and i’ve been addicted to it ever since. i’ve made the bulgogi, oee sobagi, and kong jang – all delicious! i went to the korean market yesterday to stock up on ingredients for your recipes, and i was looking for the black bean paste. i didn’t see a container like the one in your picture, but i found some jars labeled black bean fermented next to the gochujang. is this the right one for jja jang myun? thanks for taking the time to put these recipes online and answer our questions! Posted May 13th, 2008 at 10:12 pm | Log in to reply. Posted May 12th, 2008 at 9:43 pm | Log in to reply. 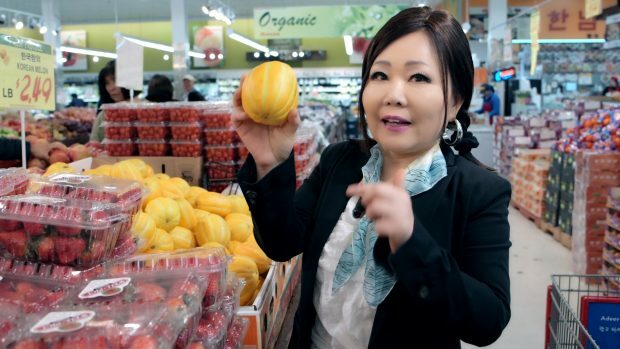 I was wondering where do you usually shop for your ingredients in Toronto? Posted May 11th, 2008 at 8:56 pm | Log in to reply. I am sorry to hear that you can’t find the black bean paste for jja jang. All I can say is that you can check out a korean grocery market. Posted May 11th, 2008 at 2:21 pm | Log in to reply. im vietnamese so i shop at oriental/chinese markets, but i cannot find the black bean paste? any advice? Posted March 5th, 2008 at 5:12 pm | Log in to reply. check it out my cooking video under “grilled beef” and you will find the recipe for “ssam jaang”. Posted March 5th, 2008 at 3:32 pm | Log in to reply. Posted March 5th, 2008 at 7:07 am | Log in to reply. I don’t think so. The black bean paste is not much used for any other side dishes except for jja jang myun. Posted March 5th, 2008 at 3:21 am | Log in to reply. 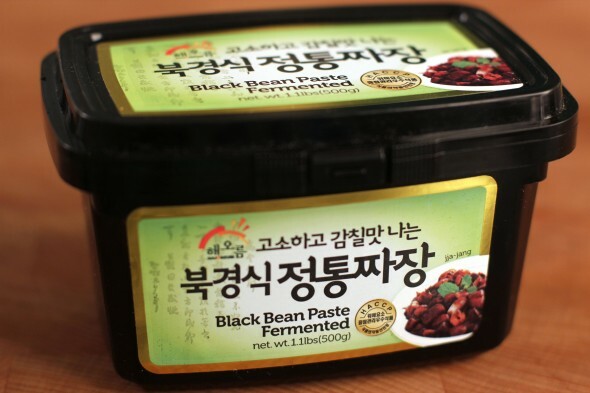 Is the black bean paste the bean paste used when eating pork kalbi or is it another bean paste?